Some documentation has been written by the team to help you set up the new ccs64v3 beta with GameBase, in order that you can play the GB64 collection online! 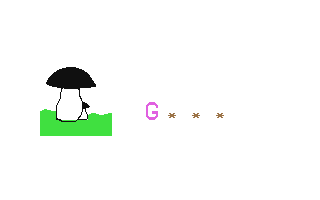 Posted: 26 Sep 2003 by graveyardjohn. A htmlized review of the game from the UK C64 computer games' magazine Zzap!64 has been added to the Articles section. Posted: 21 Sep 2003 by Dimitris Kiminas. Back from 'Back In Time Live' IV! The best 'Back In Time Live' event so far is over! Two GB members were in attendence in GB64 shirts, playing Sensible Soccer, talking Gamebase and watching the concert, which was, in all honesty, fantastic. We were also proud to present the Gamebase database to none other than Rob Hubbard, Ben Daglish and Martin Galway! Thanks must go to Chris Abbott and co. at Back In Time Live and C64 Audio for organising such an enjoyable event. Posted: 14 Sep 2003 by graveyardjohn. A htmlized review of the game from the UK C64 computer games' magazine Zzap!64 has been added to the Articles section (which for the moment is the Game of the Week section of the old site). Posted: 13 Sep 2003 by Dimitris Kiminas. Almost one week has passed since our project's release and we're still trying to believe that we've indeed managed to make it!! We'd like once again to thank all of you for your expression of appreciation as shown in our forum and all the personal mail we received -- sorry if we don't reply immediately, but we're currently overwhelmed by C64 fan mail :) and so is our server from the heavy download activity constantly going on! Regarding that, we hope that things will subdue as time passes and stability will prevail -- still, you've waited for this project for years, so it's hard to blame you for trying to get it as soon as possible... but also don't blame us if the site sometimes becomes unresponsive! Some people never believed that this day will come. Some others, the optimists, believed that this day will come -- only they weren't sure they'd still be alive by that time. Well, the long wait is over; take your time and browse the whole GameBase64 Collection online for the first time. You know, it MUST be Christmas! Posted: 8 Sep 2003 by Dimitris Kiminas.